Research indicates that bat removal is the number one nuisance complaint in the United States. This could be because wildlife control operators target this market more heavily - even though squirrels, raccoons, and birds can create issues with homeowners as well. Locate your State at left to find a recommended wildlife control professional in your area that does Bat Removal. 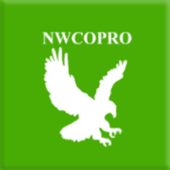 NWCOPRO makes recommendations based on many factors, often I know the operator personally - in other words we have met. I go to national training events and talk to many operators all over the country. I have seen them reaching for a greater level of expertise through training and trust me you want a guy who has not only training but credentials! Bat Removal credentials are few and far between. Just because someone says they are certified, they may not actually be! Ask them who certified them, if they cannot answer that then perhaps their credentials are self proclaimed and not worth much!